Your iPhone is, as well as software updates (new versions of iOS), receiving regular firmware updates. These IPSW files are not usually seen by the user, as these updates are made automatically by iTunes. Replacing or refreshing the firmware can sometimes fix major problems with your iPhone or other iOS device. But what is IPSW and how can you use IPSW to fix your iPhone without getting iTunes involved? What Is the IPSW File? IPSW stands rather simply for iOS Software, and IPSW files are basically just individual firmware downloads for specific iOS devices. These files can be used to update iOS devices manually with the help of iTunes. Well simply put, software is the operating system which runs the device and hardware is the chips that the OS runs on. But there is another layer in most devices and that is firmware, partway between hardware and software there is firmware, neither hard nor soft. Firmware are chips which act like hardware but their code is adaptable. And that’s what happens when the manufacturer updates the capabilities of the device, as part of the package you get software but you also get firmware. The IPSW (or iPhone software) files stored on the Apple servers containing the correct firmware for your phone can be downloaded and installed at will without any iTunes connection. So you can fix any problems by reinstalling or restoring the firmware over the top of any corrupted or incorrectly installed versions. 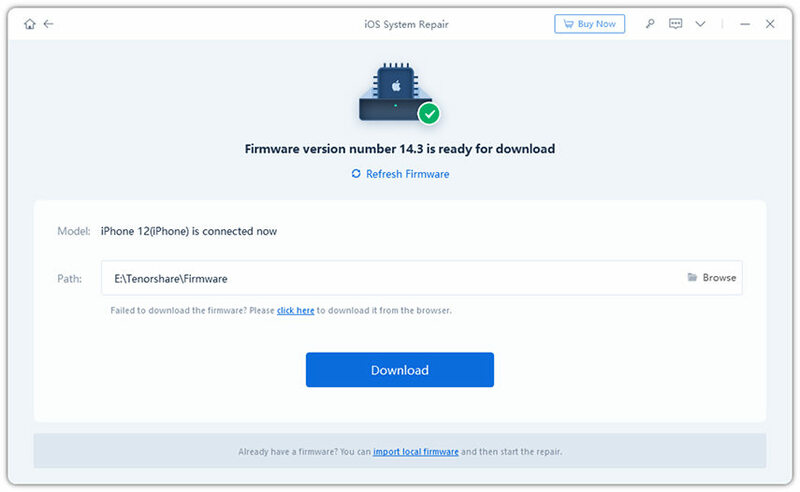 With most device companies this process is totally visible to the user, you have to personally seek and install firmware updates to enhance the hardware of your device or to run new software. But with Apple devices this process is usually seamless and hidden from the user as part of the process through iTunes. This works well most of the time and you never need to hit the hardware or take action. Sometimes, through no fault of yours, your iPhone or other iOS device gets stuck or freezes for reasons. When you are trying to restore or update them from IPSW, or see an error, alert when using iTunes. restore iPhone, iPad from IPSW without iTunes by using Tenorshare ReiBoot, a professional tool to restore iPhone 7 Plus/7/SE/6s/6/5s/5 using IPSW file without iTunes. Note: Tenorshare ReiBoot can automatically download the IPSW file for your device, thus you don’t need to download it manually. Step1: Launch Tenorshare ReiBoot and connect your iPhone to computer. Then click “Fix All iOS Stuck” on the main interface. Click “Repair Now” to start the process. Step 2: Click “Browse” and specify a path in your computer to save the firmware file. Then click “Download” button to start downloading the IPSW file. Step 3: After downloading. 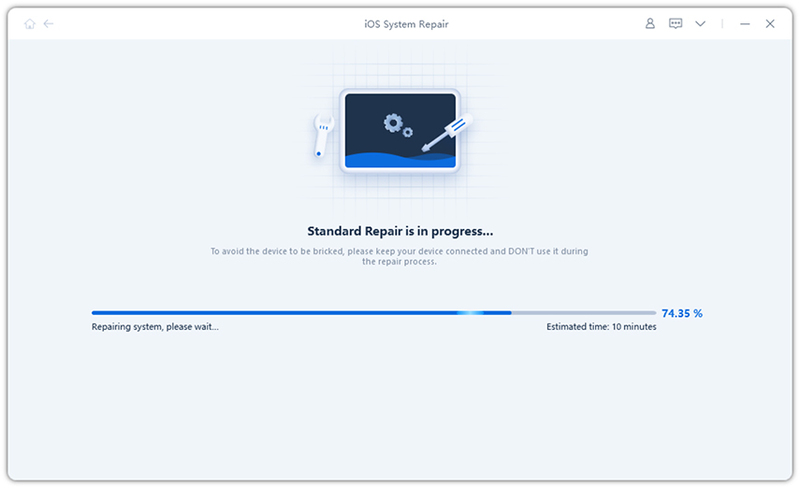 Hit “Start Repair” to install the IPSW file on your iPhone. Step 4: When the repairing process completes, your iPhone will automatically reboot and everything will get back to normal. That’s all for how to restore iPhone with IPSW file without iTunes. It is much easier and faster than restoring iOS firmware using iTunes. If you have any other problems, please leave a message at the comment place.